The “American Dream Meadowlands” located next to Met Life Stadium in East Rutherford, New Jersey began as Xanadu Meadowlands (Xanadu) in July of 2002. The name Xanadu was possibly taken from a previous project undertaken by the Mills Corporation (Mills) known as Madrid Xanadu, a shopping complex that opened in Spain in 2003. 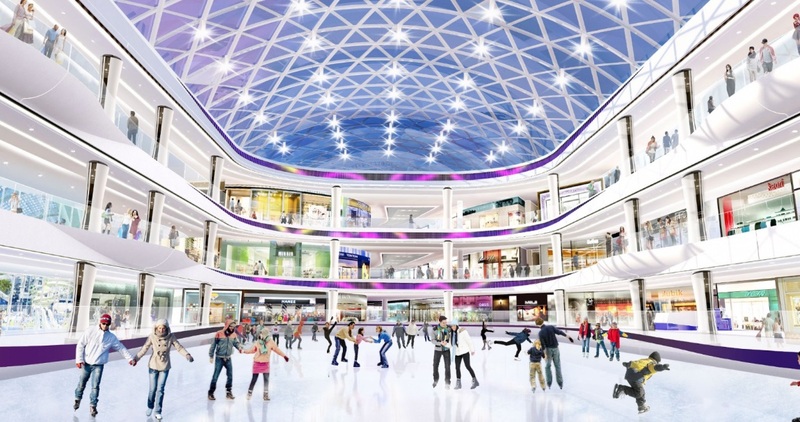 Xanadu was intended to be a multimillion dollar traditional mall coupled with a Ferris wheel and indoor ski hill which attempted to bring lifestyle, recreation, sports and family entertainment together in one location. For the original developer, Mills, this was to set a new standard for what the American shopping mall could be. 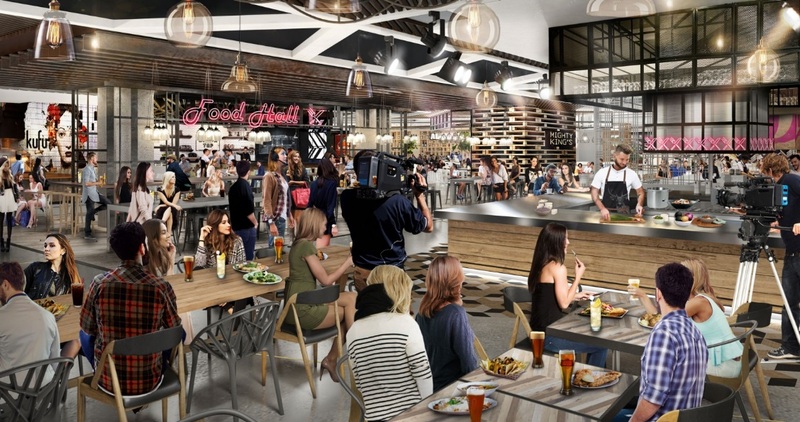 With a prime location next to Met Life Stadium and in close proximity to New York City, Xanadu was going to be a premiere shopping location for tourists and sports fans alike. Ground for the project was broken on September 29, 2004; however, the original plan for Xanadu fell apart as financial problems and lawsuits plagued the mega mall, which delayed the project for over a decade, and became a source of contention and confusion for those in the tri state area. Then New Jersey Governor Chris Christie called the structure, “the ugliest damn building in New Jersey, maybe America,” and “an offense to the eyes as you drive up the turnpike.” The project has since been undertaken by several other developers, including Triple Five and continued to face difficulty. In 1971 the State of New Jersey created the New Jersey Sports and Exposition Authority (NJSEA), an independent agency to oversee the development of the Meadowlands Sports Complex and other developments in the Meadowlands. The NJSEA is made up of a 16 member Board of Commissioners appointed by the Governor to four-year terms. The NJSEA issued a request for proposal in June of 2002 to redevelop the “162 acres of the 700 acre Meadowlands Sports Complex” (“104 acres that surround the former Continental Arena and 62 acres on which the arena and its parking lot sit – into a multi-use complex with dining, entertainment, retail, hotel, office, exposition, recreation, parking and transportation.”). Mills was a publicly traded real estate investment trust (REIT) headquartered in Arlington, Virginia that built “Landmark” centers like Gurnee Mills and Ontario Mills. Mills started as the Western Development Corporation in 1967, and the first mall it built was Potomac Mills in the D.C. metro area in 1985. 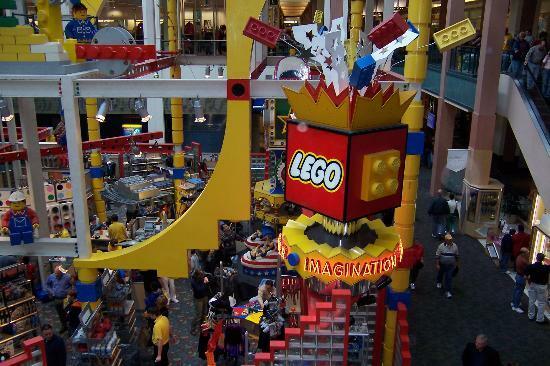 From 1989-1991 it opened three new malls, Franklin, Gurnee, and Sawgrass Mills. In 1994, the company converted to REIT status and changed names to “The Mills Corporation.” In 2002 the company acquired six regular retail malls, and by 2004 the company had a nine-mall portfolio. 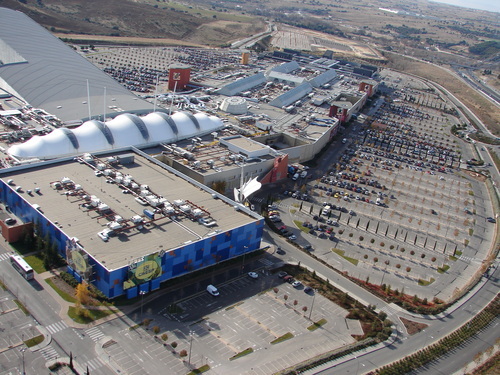 In 2002, Mills developed Madrid Xanadu, a massive shopping and entertainment center that included 222 shops and eateries, a 15-screen movie theatre, and the Madrid SnowZone, a massive covered track for guests to go skiing and snowboarding year round. Mills’ original concept for the American Dream Meadowlands was known as Xanadu Meadowlands. Located in Bergen County, New Jersey, in one of the most travelled intersections in North America, the location for Xanadu was ideal. The project is bounded by 3 major highways (I-95, Route 3, and Route 120) which service over 110 million vehicles annually.In the immediate area, there are over 21 million local residents and over 62 million tourists that visit the area. This is a project that had immense potential when proposed. When the company started the project in September of 2004, it had successfully launched several other retail malls such as Gurnee Mills in Illinois and Ontario Mills near Los Angeles, opening one or two landmark malls each year starting in 1996. Mills’ history of success and constant development of new projects made Mills look like a great company to partner with on large scale projects such as Xanadu. Xanadu was planned as a 4.76 million square foot family entertainment, office, and hotel complex and began construction in 2004. Mills Chairman and CFO Laurence C. Siegel said that Xanadu offered lifestyle, sports and family entertainment together in one location. Mack Cali invested $32.5 million into the project and expected the project to be completed within two years. Ground was broken on the project on September 29, 2004, but stopped due to the impending bankruptcy of Mills. During the two years of development under Mills, the project ran into problems ranging from lawsuits, environmental issues during the construction of the parking garage, to financial trouble within the company. Lawsuits were commenced by “Hartz Mountain, the borough of Carlstadt, the Sierra Club of New Jersey and the New Jersey Builders Association.” Mills was facing bankruptcy by 2006 with a looming $1.1 billion loan repayment and a number of issues with the company’s accounting. 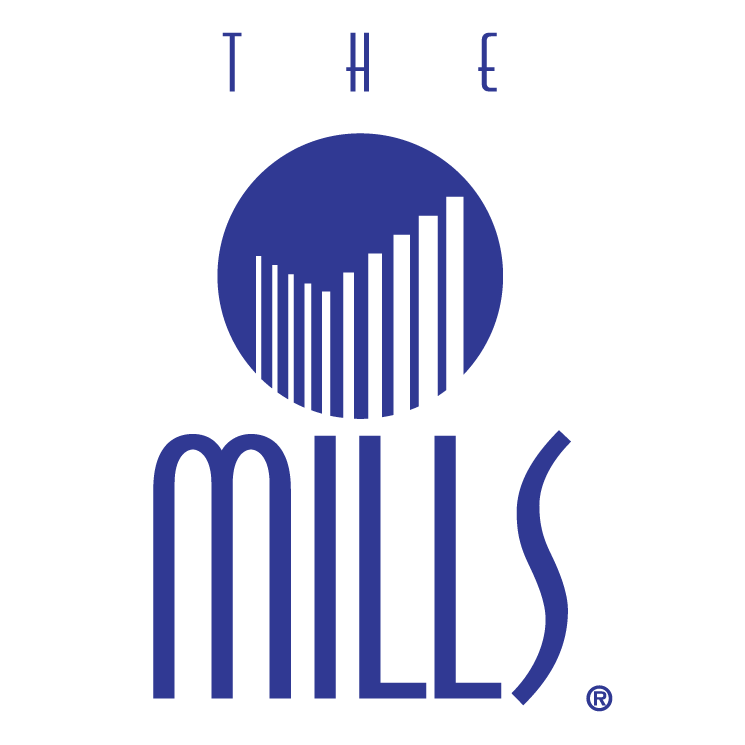 Mills was acquired in April of 2007 by Simon Property Group and Farallon Capital Management. Mills’ failure stemmed from misconduct by former accounting and asset management personnel some of which resulted in accounting errors. Mills cited the company’s overall culture and tone at the top for their downfall, and in a regulatory filing stated that it had identified a number of instances where personnel failed to understand the implications under GAAP (Generally Accepted Accounting Principles) of particular transactions, events, or facts. Even though Mills rapidly grew and was starting new projects year after year, the complexity of the corporation’s financial structure exacerbated the number of errors in the company’s accounting. Mills also acknowledged that there was a failure of communication and lack of adequate internal controls within the corporation. One of the major accounting errors cited was a failure to properly account for certain aspects of the Xanadu project. During Mills’ tenure as developer, the project hadn’t made the progress the company would have liked. The site had electrical, sewer, and other utilities installed to facilitate the groundbreaking and to begin infrastructure for the massive project in 2004. By 2005, heavy construction had started and work on the main parking areas commenced. In 2006, when the project ground to a halt, about half of the project had been built. Financing for the multibillion dollar project came in the form of credit from various lenders and over $100 million of Mills own funds. By the time Colony Capital, LLC (Colony Capital) took control, Mills had a $458 million stake in Xanadu, and the company was seemingly betting it all on Xanadu, even selling some of its stock in its other properties. Colony Capital was a REIT specializing in private equity and venture capital. Colony Capital, now known as Colony Northstar, manages $57 billion in assets and employs over 500 people. Colony Capital’s current focus is “generating attractive risk adjusted returns and creating long-term value for shareholders and investors.” In the past however, Colony Capital focused more on recapitalization with a special purpose subsidiary of Colony, Colony Capital Acquisitions, LLC, which made Xanadu a prime project for the company to invest in. By May of 2009, construction on Xanadu was about 80% complete with 88% of the common areas finished. In 2008, Pepsi agreed to pay $100 million dollars for a ten year sponsorship of a London-eye style Ferris wheel that was to tower approximately 287 feet “[w]ith 26 glass enclosed, climate controlled gondolas.” The Ferris wheel ride “could take up to 20 people on a 25-minute journey with views of New York City.” The Pepsi Globe, as the wheel will be known, remains on the plans, however the future for the ride seems inconclusive. With Colony Capital out of the picture, the project looked dead in the water with no readily available investors or easily obtainable capital to fund the project during the recession. 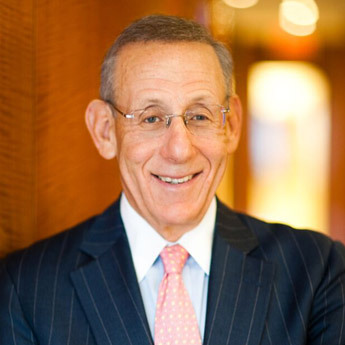 In 2010, Stephen Ross (Ross), the owner of The Related Companies in Manhattan, showed great interest in the project and was in talks with the NJSEA. It was at this point the project was renamed “The Meadowlands” and the name “Xanadu” was dropped completely. Ross stated that he could finish the project by the end of 2010 with a new name and look. 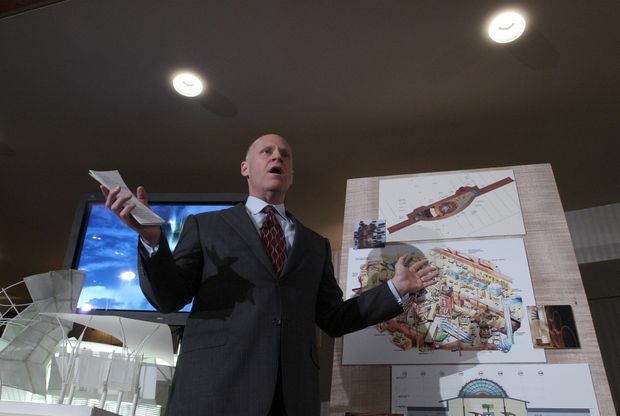 Ross and his plans were short lived and by the end of 2010, the Triple Five Group (Triple Five) signed a letter of intent to invest in completing the project, acquired the project from the group of lenders that owned the debt, and proposed that the idea be expanded to include indoor amusement and water parks creating a playground for visitors. Triple Five secured a $700 million loan from Deutsche Bank to finish the project after years of failed proposals and plans. Triple Five is the development and finance behemoth behind the Mall of America in Minnesota and the West Edmonton Mall in Alberta, Canada. The company was founded by Jacob Ghermezian, an Iranian rug dealer and is owned, operated, and closely held by the Ghermezian family. 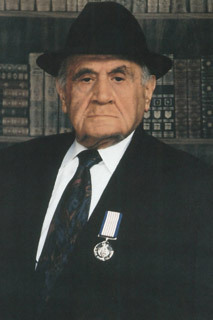 The Ghermezian family began in Central Asia in the early 20th century where Jacob Ghermzian operated a large bazaar in the Uzbek city of Smarkand. During the Russian Revolution, private property was abolished and Jacob moved to Tehran where he built a real estate fortune. In the 1950s, Jacob, his wife and four sons moved to North America and started a new company. Founded in 1965 as Germez Developments, the company started as a Persian rug trading business owned by Jacob Ghermezian and his four sons. 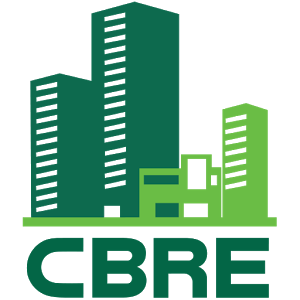 Between the 1950’s and 1970’s, the company changed its business focus to real estate development. The company established themselves by purchasing undeveloped land and selling it to builders. The company was re-named Triple Five in 1972. The triple stood for three generations of the Ghermezian family and the five for Jacob and his four sons. The family worked in adjoining offices with shared phone lines. Now approximately 120 members of the family are involved in the company. Currently, the Ghermezian family members leading the company are Jacob Ghermezian, founder, Nader Ghermezian, chairman of Triple Five Group, Don Ghermezian, CEO of Triple Five Group, and Mark Ghermezian, founder and Executive Chairman of Appboy, a newer venture. The West Edmonton Mall was Triple Five’s first major mall which opened Phase One in July of 1981, Phase Two in September of 1983, and Phase Three in September of 1985. The West Edmonton Mall expansions included the world’s largest indoor waterpark, an ice rink, rollercoaster, a faux Bourbon Street, and a lagoon with a pirate ship. Anything that the Ghermezians saw, they tried at their mall, and they were aggressive and ran the mall at a pace faster than those around them. Constantly looking to expand, when the Ghermezians wanted something from the city or vendors they bargained aggressively and incessantly, according to Adam Finn, a professor emeritus at University of Alberta School of Business. The West Edmonton Mall is widely successful and is still in operation today. Currently the West Edmonton Mall is the largest mall in North America and tenth largest mall in the world. It covers a gross area of 5.3 million square feet with over 800 stores and services in the complex, has parking for more than 20,000 vehicles and employs over 24,000 people. The mall receives roughly 32 million visitors a year and has 90,000 to 200,000 shoppers every day. Over nineteen attractions can be found within the West Edmonton Mall including: nightclubs, an amusement park, a waterpark, an aquarium, an ice rink, an 18-hole miniature golf course, movie theatres, a bowling alley, an indoor shooting range, a 24 hour gym, a hotel, dinner theatre, numerous sculptures, and a skate park. Former attractions have included a petting zoo, Deep Sea Adventure (where a guest could control their own submarine), and a paintball playing area. This sprawling Mall also includes theme areas such as a “Bourbon Street”, featuring clubs and restaurants in a New Orleans influenced setting, and a Europa Boulevard designed to look like a European street. There are 15 anchors in the West Edmonton Mall, including Bed Bath & Beyond and the Scotiabank Theatre. 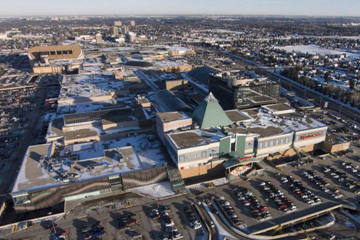 The Mall also contains a major transit center for public transportation, the West Edmonton Mall Transit Centre, which makes the Mall even more accessible to the public. 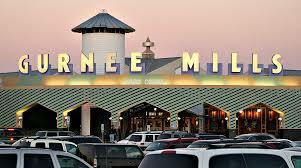 Currently the Mall of America boasts a gross area of over four million square feet and three anchor department stores. In the lower level of the eastern part of the mall is the Mall of America Transit Station, the busiest transit hub in the Twin Cities. Expansion of the Mall of America is ongoing with retail expansion and a luxury hotel planned, as well as a connection to the nearby Ikea. 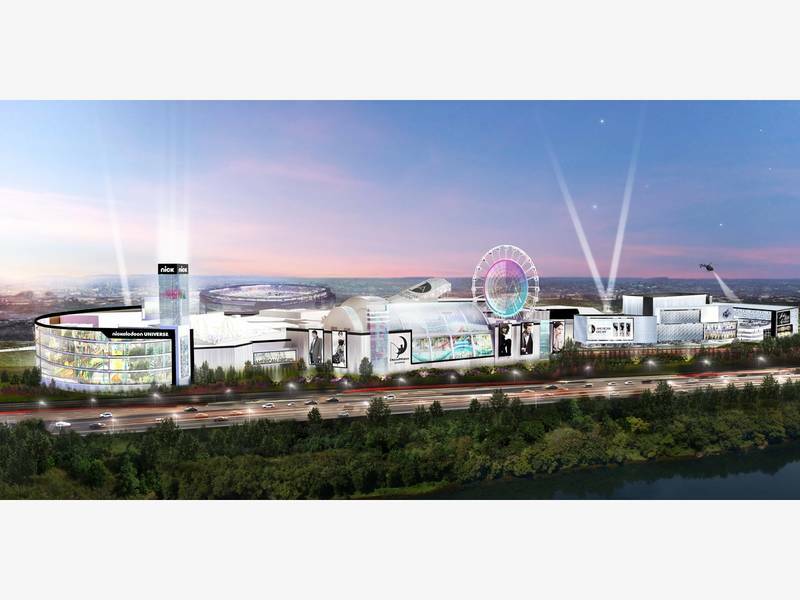 The Mall of America is the biggest mall in the country but Triple Five hopes to outdo themselves with the American Dream Meadowlands. Financing for the Meadowlands project has been an issue for developers in the past but, the Ghermezians and their aggressive negotiation tactics seem to have paid off. 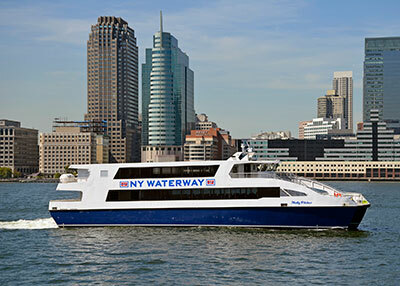 When taking the project in 2010 and receiving multiple subsidies from the State of New Jersey, Triple Five was hesitant to put any more money into the project until it could find outside funding. Triple Five used their negotiation skill to obtain PILOT payments (payments in lieu of taxes) and revenue bond financing for retail development. In 2011, the State of New Jersey and Triple Five agreed on a complicated financing arrangement including tax breaks and tax exempt mutual bonds backed by the revenue from the future mall. Further, in November of 2011 Triple Five unveiled a complex financing plan to raise an estimated $2 billion to complete the project, half came from private investors, $800 million from a bond offering, and $200 million in equity from Triple Five rounded out the remaining funding. With a new financing deal, the American Dream Meadowlands had a new projected opening date of Fall of 2013. However, the new date was not met due to other financing problems, permitting issues, and a lawsuit brought forth by the New York Giants and New York Jets. The lawsuit filed by the New York Giants and Jets organizations involved access and ability to successfully hold games at nearby MetLife Stadium. The lawsuit brought claims for injunctive and declaratory relief alleging that in a cooperation agreement between the teams and the NJSEA, a provision required the “Stadium Entities” to give prior written consent to modifications to the Meadowlands development that could potentially hurt the teams. 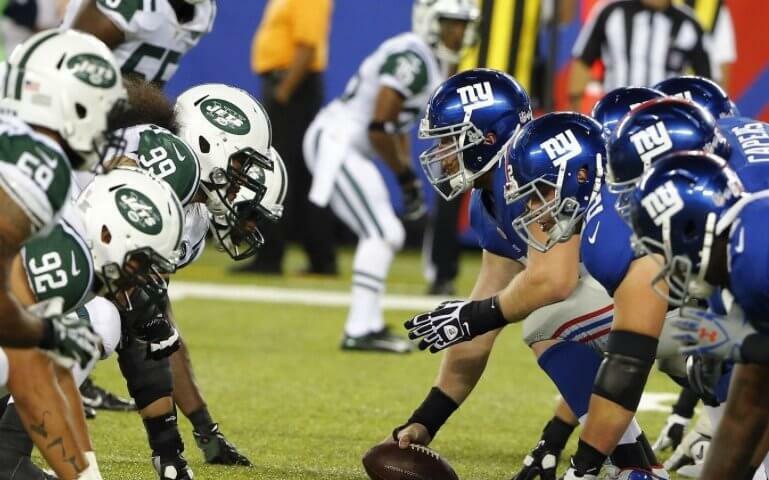 The teams then alleged that the increased traffic congestion and lack of parking would have detrimental effects on patrons of MetLife Stadium, and have a general adverse effect on the teams. The teams also alleged tortious interference with the cooperation agreement stating that because the NJSEA never notified them of changes to the plan, they were in breach of the agreement and that these changes would cause irreparable harm and injury to the teams by virtue of infringement upon the Stadium Project Development Rights Agreement the teams entered into with the NJSEA. In response Triple Five countersued, claiming “the development would ease game day traffic because it would give attendees a place to go after the game rather than everyone exiting onto the highway.” Ultimately the lawsuit was settled in March of 2014, but the damage was done, Triple Five was delayed, its funding lost, and was in need of new funding. In June of 2015, the New Jersey Local Finance Board approved a tax sharing plan between East Rutherford, Triple Five, and the New Jersey Economic Development Authority. This plan authorized a $390 million potential tax break and set the stage for a nearly $1 billion government bond sale to raise money to complete the project. 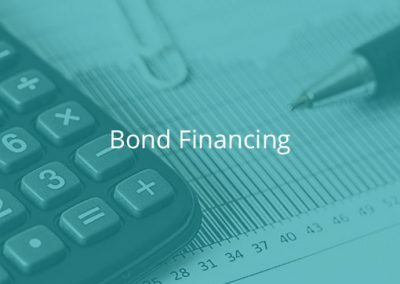 The bond issuance is a complicated plan with tax exempt bonds backed by millions in tax and redevelopment incentives; however, there has been no issuance. While attempting to secure public financing, Triple Five relied on the fact that its expectations of 23,000 construction jobs and $50 million in tax revenue during construction would be enticing enough to get the developer what it wanted. 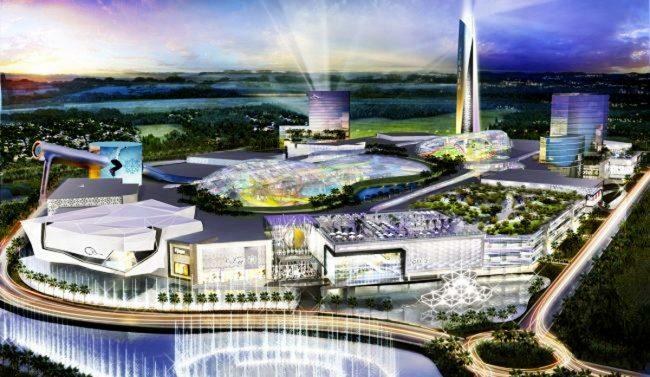 Triple Five further relied upon speculation that if American Dream was able to open then the mall would provide an economic benefit of $730 million spread out over two decades for New Jersey alone. Ultimately, Triple Five’s estimates were different than the State of New Jersey’s. The State’s job creation calculations were less optimistic, placing the number of jobs at 11,000 not 23,000 as Triple Five had estimated. The Development Authority was worried that the tax breaks Triple Five would be getting outweigh the potential benefit, but still allowed the project to move forward. In 2015 East Rutherford agreed to issue $675 million in bonds and the NJSEA agreed to a $350 million bond issuance. With financing falling through left and right for the project, Triple Five found a potential solution in an unlikely place, Wisconsin. In April of 2016 Triple Five considered a bond offering through the Public Finance Authority of Wisconsin, rather than through East Rutherford, for $1 billion. Triple Five saw an upswing in financing for 2017 broken down in the graph and discussed below. Finally, there was a major development for the financing of the project. In May of 2017, Triple Five announced that it had secured a total of $1.6 billion in private financing to help complete the project. 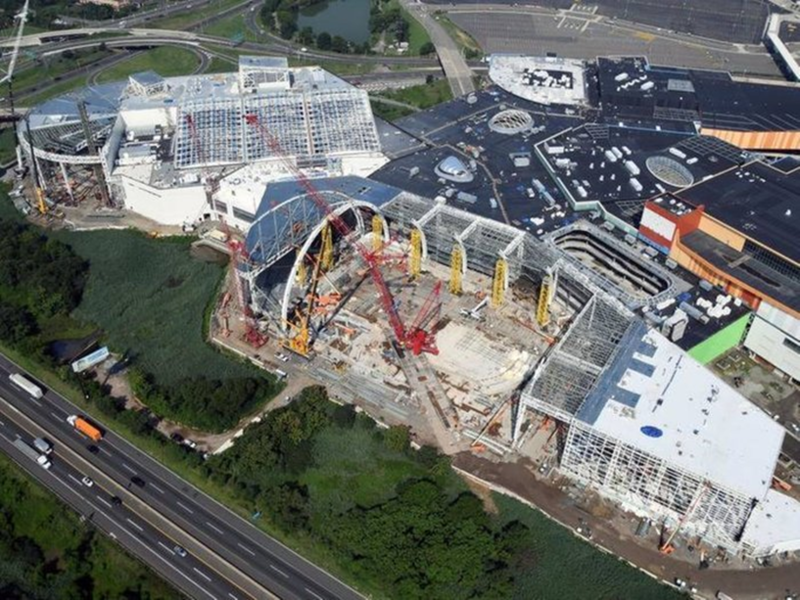 On top of this, a complex $2.8 billion closing on construction financing for American Dream Meadowlands was finalized in June of 2017 that included a combination of private funds and a $1.1 billion tax exempt bond sale. Triple Five was able to secure $1.1 billion in tax exempt bonds sold (approximately $800 million in municipal bonds were sold “backed by payments in lieu of property taxes and about $270 million in sales-tax backed debt.”) through Goldman Sachs and JP Morgan, and $1.67 of construction financing. Triple Five has now announced a March of 2019 opening date nearly 17 years after the project was first announced. In 2018, “[c]onstruction is progressing at $3 million per day with about 1,500 workers on site and work is about 60 percent complete. Work is expected to ramp up in mid-to-late fall when the tenant spaces are turned over to the leaseholders.” “The development is scheduled to open in the spring of 2019 – except for the waterpark, which will open in the fall of 2019, according to [Triple Five].” “Triple Five expects 16,000 to 17,000 people to be employed at American Dream, and estimates that the development will generate $148 million a year in taxes for New Jersey.” A later phase of the American Dream project is expected to include the construction of a hotel on-site which Triple Five believes will assist hospitality businesses in the surrounding areas. With the advent of online shopping and Amazon delivering packages with free 2-day shipping, traditional shopping malls are facing a harsh truth, people don’t want to go to a mall and spend hours shopping. People want to go to the store, buy what they need, and then spend their time on a hobby or doing an activity. Currently thousands of mall-based stores are shutting down and more than 3,500 stores were expected to close over the course of 2017. In their hay day, malls were everywhere and were not only a place to shop but a meeting place thought to be replacing “main street.” Between 2010 and 2013 visits to malls decreased by 50% likely driven by E-commerce as people spending more on restaurants, travel, and technology. An even more worrying fact for Triple Five and the Meadowlands project is that about a quarter of the approximately 100 malls in the US today are at risk for closing in the next five years. As this shift happens more stores are faced with closing up brick and mortar stores and moving to E-commerce or closing shop altogether. 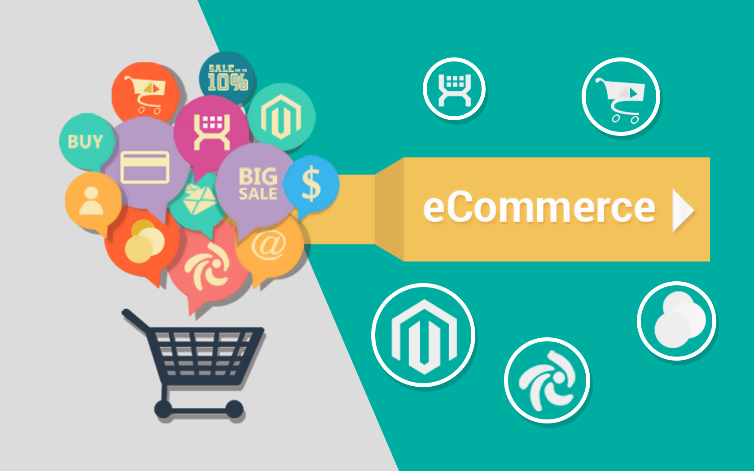 In May of 2016, “[E-]commerce sales in the first quarter jumped 15% from a year ago to $86.3 billion, not seasonally adjusted, or $92.8 billion seasonally adjusted, the Census Bureau reported.” Statistics show that total retail sales increased by 3.3% per year with a third of that growth attributed to inflation as measured by CPI, and another third was the impact of E-commerce. 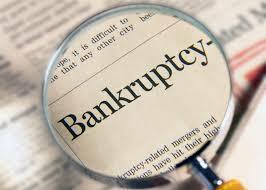 As of April of 2017, nine bankruptcies had been filed for retail stores, including: J.C. Penney, RadioShack, Macy’s, and Sears. Sports Authority has liquidated, and Payless has filed for bankruptcy. [. . .] several apparel companies’ stocks hit new multi-year lows, including Lululemon, Urban Outfitters, and American Eagle, and Ralph Lauren announced that it [was] closing its flagship Polo store on Fifth Avenue, one of several brands to abandon that iconic thoroughfare. 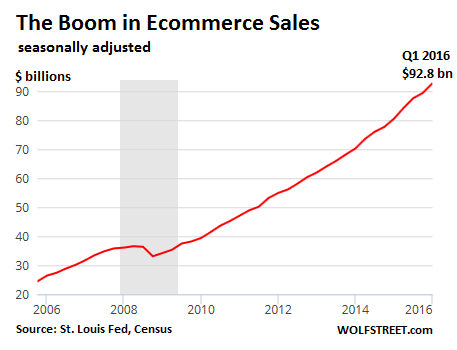 People are simply buying more stuff online than they used to. America built way too many malls. The number of malls in the U.S. grew more than twice as fast as the population between 1970 and 2015, according to Cowen and Company’s research analysts. By one measure of consumerist plentitude—shopping center “gross leasable area”—the U.S. has 40 percent more shopping space per capita than Canada, five times more than the U.K., and 10 times more than Germany. So it’s no surprise that the Great Recession provided such a devastating blow: Mall visits declined 50 percent between 2010 and 2013, according to the real-estate research firm Cushman and Wakefield, and they’ve kept falling every year since. Americans are shifting their spending from materialism to meals out with friends. [C]lothing stores have declined as consumers shifted their spending away from clothes toward traveling and dining out. Before the Great Recession, people bought a lot of stuff, like homes, furniture, cars, and clothes, as retail grew dramatically in the 1990s. Domestic airlines have flown more passengers each year since 2010, and [in 2016] U.S. airlines set a record, with 823 million passengers. 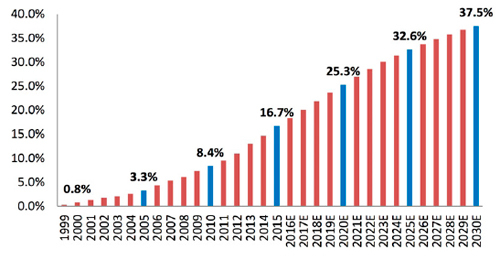 Since 2005, sales at “food services and drinking places” have grown twice as fast as all other retail spending. In 2016, for the first time ever, Americans spent more money in restaurants and bars than at grocery stores. 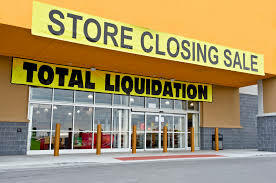 As of May of 2017 retail stores that announced closures and/or bankruptcies also included Payless Shoes, American Apparel, BCBG Max Azria, The Limited, Weat Seal, and HHGregg. “The collapse of so many companies could have far-reaching consequences for retail-driven real estate owners and investors across the country, who, seeing the demise of their tenants, must backfill space or risk seeing their own bottom lines deteriorate.” Beyond the struggle of the landlords of these retail tenants the chain include private equity that backs the retailors. “In many cases, Class A mall owners have hustled to attract more interactive replacements for anchor tenants. These alternatives have helped them boost traffic and occupancy levels and better cater to the needs of younger and wealthier customers.” Experts believe that for every Class A mall that is able to be resituated by a mega-REIT, there will be a Class C mall that fails. Statistics show that the US is over-retailed in comparison with other first world countries, i.e. 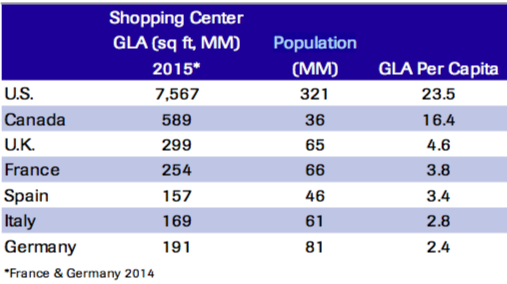 – 24 square feet of retail space per capita. First, they said that stagnating wages and rising health-care costs squeezed consumer spending on fun stuff, like clothes. Second, the recession permanently hurt logo-driven brands, like Hollister and Abercrombie, that thrived during the 1990s and 2000s, when coolness in high-school hallways was defined by the size of the logo emblazoned on a polo shirt. Third, as consumers became bargain-hunters, discounters, fast-fashion outlets, and club stores took market share from department stores, like Macy’s and Sears. Finally, malls are retail bundles, and when bundles unravel, the collateral damage is massive. 2018 does not seem much different in terms of trends facing brick and mortar stores. The Motley Fool believes that at least eleven stores will not survive the year, including Sears Holdings and Sears Hometown and Outlet Stores, J.C. Penny, Barnes & Noble, Office Depot, GNC, Vitamin Shoppe, Vitamin World, Foot Locker, Payless ShoeSource, and Charlotte Russe. As a result, U.S. mall owners are trying to sell off their fading properties so that they can focus on the more profitable malls. “That’s proving difficult, […] [o]nly about $3 billion of retail real estate changed hands in April, a 27 percent drop from a year earlier and the lowest monthly tally since February 2013, according to the latest data from Real Capital Analytics Inc.” “Prices for malls fell 14 percent in the past 12 months, even as values for other types of commercial properties, such as warehouses and office buildings, rose or held steady, according to Green Street Advisors LLC.” Landlord are having a hard time finding buyers for properties. Jacqueline DeBuse, a spokesperson for Target, believes downsizing allows for “a really flexible design and allow[s Target] to go to neighborhoods or urban areas where a traditional-sized Target wouldn’t fit, and allow[s them] to reach new guests.” Reaching new clientele could be the key to helping these retailers survive. 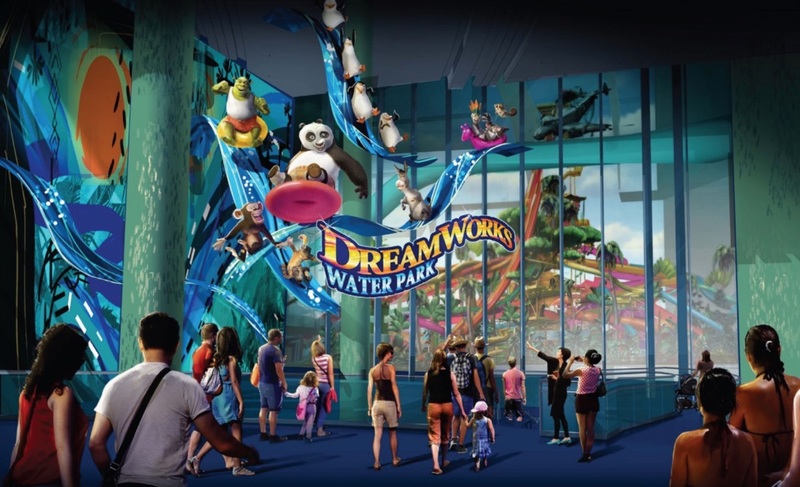 In August of 2018 it was reported that “[t]he first phase of the American Dream entertainment and shopping extravaganza in the Meadowlands is on track to open next spring.” New Jersey Governor Phil Murphy said that American Dream is “‘going to be even bigger and better’ than the Mall of America.” When the project opens it is expected to “support 16,200 jobs at the center and 7,000 jobs in surrounding towns, according to Triple Five,” and is expected to “generate $1.2 billion in wages.” The project is projected to utilize 55% of the space for entertainment and 45% for retail. The list of current retail shops will include: “Saks, Saks Off Fifth, Aritza, Banana Republic, Century 21, Gap, Hermes, Lululemon, MAC, Microsoft, Pink, Uniqlo, Victoria’s Secret and Zara,” to name a few. It is estimated that the center will be comprised of approximately 4,800,000 square feet and have six anchor tenants with more than 50,000 square feet each, twelve major retailers with 12,000 to 50,000 square feet each, 339 smaller shops up to 20,000 square feet, 21 restaurants, 45 specialty food tenants, 20 food court tenants, and 5 kiosks. A pair of roller coasters: the Launched Euro-Fighter roller coaster, which will have the world’s steepest roller coaster drop; and the Spinner Coaster, the world’s tallest and longest free-spinning roller coaster. A 22,000-square-foot arcade and bowling alley for adults, featuring live bands and a selection of craft beers. A 4-D, dine-in movie theater. A 12-screen, upscale Cinemex movie theater with ‘sky box’ private viewing rooms. As it stands now the building has been described as ugly by most people who see it including former New Jersey Governor Richard Codey but that’s not what’s important to Triple Five. Triple Five looked forward to tackling the exterior of the building which has been described as ugly and in need of change. 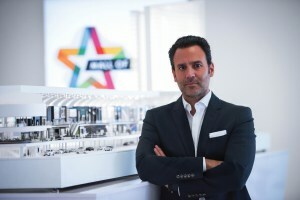 Don Ghermezian has stated that transforming the exterior has been a large part of the plan since Triple Five took over the project. Triple Five is striving for much more than a mall with this project, the group wants to create a veritable playground for guests and avoid the woes many malls are currently facing. For some malls this means losing key anchor stores that occupy large spaces within shopping malls. With the closing of stores like Sears and Boston Stores, that are traditionally anchors many malls are having a hard time filling the gaps. Roughly 30% of malls are at risk of closing as a result of store closures so malls need to start looking elsewhere for revenue. For some malls it comes in the form of offices or apartments being built into the mall space creating a small community. Others like, like those run by Triple Five, have turned to entertainment as a replacement for anchors and as a way to bring in guests. One commercial real estate information firm says that regional and super-regional malls devote 9% of their occupied space to entertainment and dining, up from 7.9% five years ago. This percentage translates to over 10 million square feet of space being shifted away from shopping to entertainment a trend that could help to save shopping malls. Triple Five seems to be excelling at shifting their malls from shopping centers to playgrounds for guests to enjoy and have announced a new project in the Miami area. In May of 2018, Triple Five won zoning approval, with the commissioners of Miami-Dade voting 9 to 1, for a $4 billion mall that would include an indoor ski slope and a submarine lake. American Dream Miami would be located off of the Florida Turnpike, and it is predicted that there will be 30 million visitors a year and 70,000 vehicle trips in and out of the property. 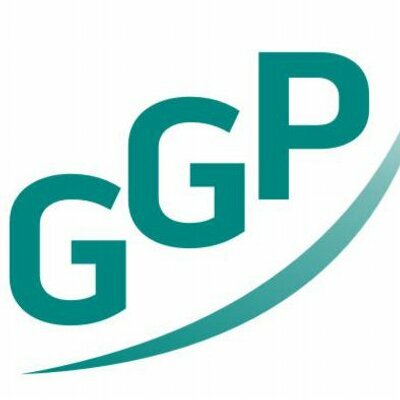 The project would see Triple Five allying with Graham Companies who own a large portion of the 175 acres of the site that the project will be located on. Even though this is a major breakthrough for the project, it still has a long way to go and faces several hurdles. Permits must be obtained for environmental mitigation, sewage capacity, and water use. Additionally, the project can’t proceed without $200 million in roadway improvements which Florida has stated it will implement; however, Triple Five will have to foot the bill for any improvements the state isn’t financing. Another issue came from a lobbying group formed by owners of rival malls in the area that tried and failed to get Triple Five pre-emptively banned from receiving any public financing, with one commissioner wanting to avoid the mistakes made when financing Marlins Park. Ultimately, this project will face the same hurdles as the Meadowlands project to get started, but Triple Five has the experience and determination to make progress. Even with the positive steps taken by Triple Five and the New Jersey Sports and Exposition Authority, the American Dream Meadowlands project has faced numerous obstacles, including construction delays, legal challenges, financing issues, environmental issues, and a series of developers. But it seems the project will continue construction until it is completed with a project opening date during 2019. Compared to most sports communities, development of American Dream Meadowlands has been unreasonably long and somewhat stagnant. Most sports communities are widely successful and a big draw to an area, even on non-game days. “American Dream Meadowlands will be an economic engine for not only North Jersey but for the entire East Coast, according to Bergen County Executive Jim Tedesco.” With over a decade of development, countless investors, multiple developers, and numerous financing schemes, American Dream Meadowlands, now under the direction and control of Triple Five, may finally be a reality. Matthew W. Carlson is a Wisconsin licensed attorney earning his Juris Doctor in May 2018 from Marquette University Law School. While at Marquette, Carlson was a staff member of the Marquette Sports Law Review (Volume 28) and a member of the Sports Law Society. Carlson was also a member of the Marquette Health Law Society and served as the Vice President during his 2L year. Prior to Marquette, Carlson earned his Bachelor of Sciences in Social Sciences with a focus on Law and Society from Michigan Technological University (Houghton, MI). While at Marquette, Carlson interned with Michigan Technological University’s Athletic Department as an NCAA Compliance intern and interned as a legal assistant at Eliason Law Office PC in Hancock, Michigan. Currently Carlson is a legal intern for Martin J. Greenberg. Charles V. Bagli, Looking for (Another) $1.1 Billion to Finish an Amusement Mall, The New York Times, May 31, 2017, https://nyti.ms/2sodicq. Amanda Kolson Hurley, Does America Still Want the American Dream?, The Atlantic, Oct. 9, 2015, https://www.theatlantic.com/business/archive/2015/10/does-america-still-want-the-american-dream/409804/. Susan Berfield, Illya Marritz, and John Reitmeyer, How Not to Build a Supermall: $5 Billion, 5 Governors, 3 Developers, and 15 Years, Bloomberg, Dec. 15, 2016, https://www.bloomberg.com/features/2016-american-dream-mall/. Richard Perez-Pena, Fix Xanadu? The Problem May Be Where to Begin, New York Times, Apr. 1, 2011, https://www.nytimes.com/2011/04/02/nyregion/02xanadu.html?_r=0. Charles V. Bagli and Richard Perez-Pena, For Xanadu Mall, Stalled and Scorned, Deal May Offer New Life, New York Times, Apr. 28, 2011, https://www.nytimes.com/2011/04/29/nyregion/deal-reached-to-expand-xanadu-mall-project-in-nj.html (Last Visited June 22, 2018). Who We Are, New Jersey Sports and Exposition Authority, http://www.njsea.com/njmc/about/who-we-are.html (Last visited July 1, 2018). Establishment; members removal; organization; bond; compensation; dissolution; certification of actions by governor, N.J.S.A. 5:10-4 (2018). Allison Pries, American Dream: The 16-year (and counting) journey of a mega-mall that might actually be kind of soon, NJ.com, Jun. 19, 2018, https://www.nj.com/bergen/index.ssf/2018/06/american_dream_how_did_a_swath_of_land_in_the_mead.html. 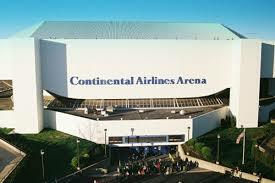 New Jersey Sports and Exposition Authority, Meadowlands Sports Complex: Redevelopment of the Continental Airlines Arena Site, Jun. 2002, http://www.teterboro-online.com/images/mead/prop1/arenarfp6-26.pdf (Last visited May 22, 2018). John Brennan, The Long and Winding Road that has been American Dream Meadowlands, North Jersey, May 4, 2017, http://www.northjersey.com/story/news/business/meadowlands-matters/2017/05/02/long-and-winding-road-has-been-american-dream-meadowlands/100670280/ (last visited Jul. 1, 2018). The Mills Corporation, Reference for Business, http://www.referenceforbusiness.com/history2/66/The-Mills-Corporation.html (last visited Jul. 1, 2018). 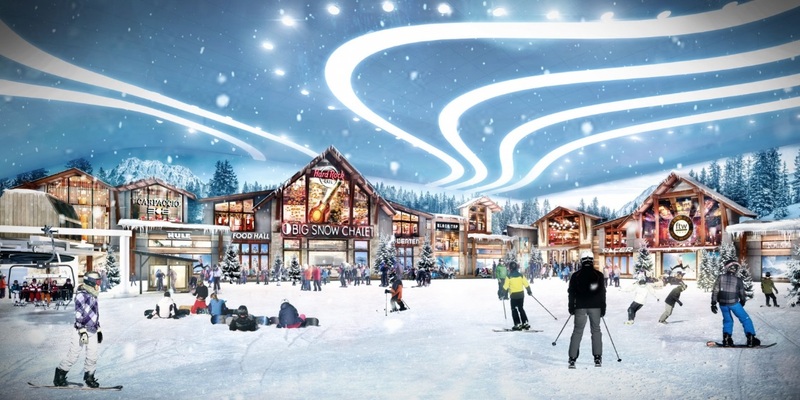 The Mills Corporation Partners with Intrawest Corporation and Heineken to Enhance Madrid Xanadu, Europe’s Largest Retail, Lifestyle and Snow Destination; World-Class Brands Add to Broad Array of the Mills’ Global Partnerships, Business Wire, Aug. 1, 2005, https://www.businesswire.com/news/home/20050801005484/en/Mills-Corporation-Partners-Intrawest-Corporation-Heineken-Enhance. Berfield supra at note 4. Debbie Patire, American Dream Completes $2.77B Construction Financing, American Dream, http://www.americandream.com/fun/?open=1 (last visited Jul. 1, 2018). 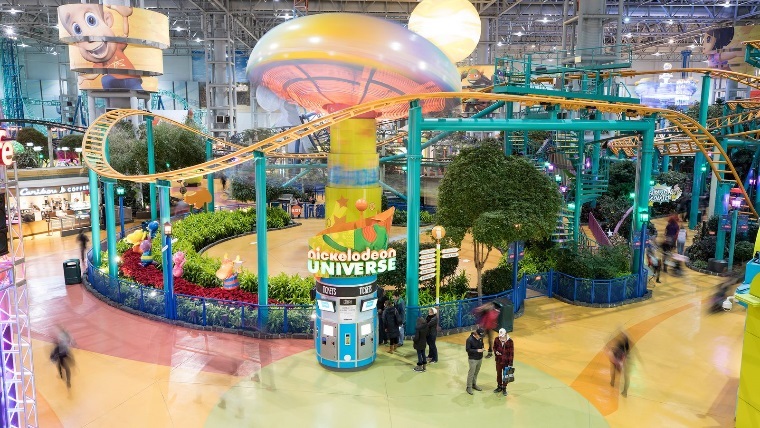 Two World-Record Roller Coasters Coming to Nickelodeon Universe At American Dream, Cision PR Newswire, Nov. 2, 2017, https://www.prnewswire.com/news-releases/two-world-record-roller-coasters-coming-to-nickelodeon-universe-at-american-dream-300548196.html. (last visited Jul. 1, 2018). The Mills Corporation supra at note 20. Terry Pristin, At $2.3 Billion, This Mall Could Be Too Big to Fail, New York Times, May 19, 2009, https://www.nytimes.com/2009/05/20/realestate/commercial/20xanadu.html. Meadowlands Xanadu Proposal Greatest Assemblage of Entertainment and Recreation All Under One Roof Selected by New Jersey Sports and Exposition Authority, Mack Cali Reality Corporation, Feb. 12, 2003, https://www.mack-cali.com/news/2003/meadowlands-xanadu-proposal-greatest-assemblage-of-entertainment-and-recreation-all-under-one-roof-selected-by-new-jersey-sports-and-exposition-authority/ (last visited Jul. 1, 2018); Mack-Cali Comments on The Mills Corporation’s Meadowlands Xanadu Financing Announcement, Mack Cali Reality Corporation, Aug. 22, 2006, https://www.mack-cali.com/news/2006/mack-cali-comments-on-the-mills-corporationand039s-meadowlands-xanadu-financing-announcement/ (last visited Jul. 1, 2018). Brennan supra at note 16. Stephen Taub, Litany of Woes for Mills Corp., CFO, Jan. 9, 2007, ww2.cfo.com/accounting-tax/2007/01/litany-of-woes-for-mills-corp/ (last visited May 22, 2018). Simon Property Group and Farallon Capital Management Complete Acquisition of The Mills Corporation, Simon, Apr. 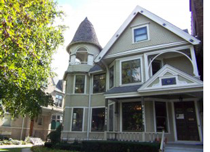 6, 2007, http://investors.simon.com/phoenix.zhtml?c=113968&p=irol-newsArticle&ID=982485 (last visited Jul. 1, 2018). Taub, supra at Note 37. Kolson supra at note 2. 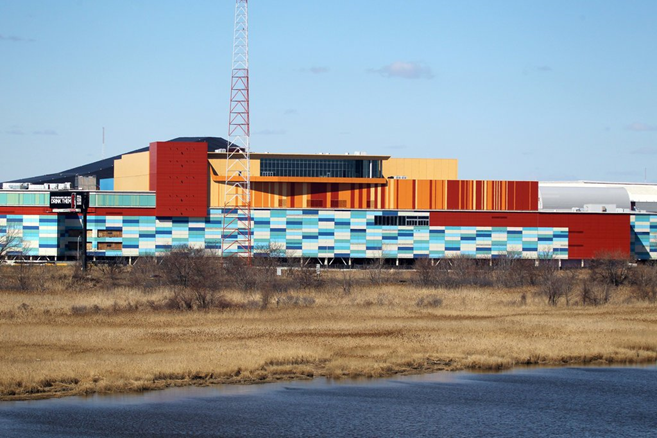 Laura Mansnerus, How a Mall in the Meadowlands Is Bleeding a Company, New York Times, Apr. 16, 2006, http://query.nytimes.com/gst/fullpage.html?res=9801E1DF163FF935A25757C0A9609C8B63&pagewanted=all. Tribune News Services, Mills stock jumps 15% on news of New Jersey investment deal, Chicago Tribune, Aug. 23, 2006, http://articles.chicagotribune.com/2006-08-23/business/0608230029_1_million-square-foot-xanadu-project-meadowlands-xanadu-mills-stock . Brennan, supra at note 16. John Spence, Mills Corp. gets ‘Xanadu’ funding, Market Watch, Aug. 22, 2006, https://www.marketwatch.com/story/mills-corp-surges-on-xanadu-shopping-complex-financing. Colony Capital, LLC: Private Company Information, Bloomberg, https://www.bloomberg.com/research/stocks/private/snapshot.asp?privcapId=616383 (last visited Jul. 1, 2018). Colony Northstar, About Us, Colony Northstar, https://www.clns.com/about#t3-mainbody (last visited Jul. 1, 2018). Colony Capital Completes Recapitalization of Meadowlands Xanadu Project, Business Wire, Nov. 22, 2006, https://www.businesswire.com/news/home/20061122005616/en/Colony-Capital-Completes-Recapitalization-Meadowlands-Xanadu-Project. Al Sullivan, A dream comes true?, Hudson Reporter, Aug. 25, 2013 http://hudsonreporter.com/view/full_story/23380629/article-A-dream-comes-true—New-owners-get-keys-to-former-Xanadu-entertainment-complex-on-Route-3-?instance=secaucus; Dealbook, At $2.3 Billion, This Mall Could Be Too Big to Fail, The New york Times, May 19, 2009, https://dealbook.nytimes.com/2009/05/20/at-23-billion-this-mall-could-be-too-big-to-fail/ https://www.nytimes.com/2009/05/20/realestate/commercial/20xanadu.html. Jim Beckerman, On National Ferris Wheel Day, salute the ups and downs of a popular ride, NorthJersey.com, Feb. 13, 2018, https://www.northjersey.com/story/entertainment/2018/02/13/national-ferris-wheel-day-salute-ups-and-downs-popular-ride/307217002/. Pristin supra at note 32. Sam Mamudi, Lehman folds with record $613 billion debt, MarketWatch, Sep. 15, 2008 https://www.marketwatch.com/story/lehman-folds-with-record-613-billion-debt. David Porter, Troubled Xanadu project now in the hands of creditors, The San Diego Union-Tribune, Aug. 10, 2010, http://www.sandiegouniontribune.com/sdut-troubled-xanadu-project-now-in-hands-of-creditors-2010aug10-story.html. Charles V. Bagli and Richard Perez-Pena, Xanadu Mall Project, Renamed American Dream Meadowlands, New York Times, Apr. 28, 2011, http://www.nytimes.com/2011/04/29/nyregion/deal-reached-to-expand-xanadu-mall-project-in-nj.html (last visited Jul. 1, 2018). Andrew Tangel, Xanadu’s $3B ‘White Knight’ knows how to get things done, North Jersey, Feb. 7, 2010, https://web.archive.org/web/20100210052343/http://www.northjersey.com/news/83743942_Xanadu_s__3B__White_Knight__knows_how_to_get_things_done.html (last visited Jul. 1, 2018). John Brennan, Ross taking over Xanadu, dumping name, North Jersey, May 14, 2010, https://web.archive.org/web/20100517090338/http://www.northjersey.com/news/051410_Ross_taking_over_Xanadu_dumping_name.html. Tangel supra at note 66. Bagli supra at note 1; Pries, supra note 11. Sullivan supra at note 58. Triple Five, http://triplefive.com/en/pages/home (last visited Jul. 1, 2018). Triple Five Group Ltd. History, Funding Universe, http://www.fundinguniverse.com/company-histories/triple-five-group-ltd-history/ (last visited Jul. 1, 2018). Evelyn Rusli, Heirs to Old Money Plunge Into Tech, New York Times, Apr. 4, 2012, https://dealbook.nytimes.com/2012/04/04/heirs-to-old-money-plunge-into-tech/?mtrref=www.google.com&gwh=94E5CDF04F94E19970728F1AE15D8FBA&gwt=pay (last visited Jul. 1, 2018). Khushboo, Sheth, The Biggest Shopping Malls In The World, World Atlas, Jan. 5, 2018, https://www.worldatlas.com/articles/the-biggest-shopping-malls-in-the-world.html (last visited Jul. 1, 2018). West Edmonton Mall, World Franchise, http://worldfranchise.eu/shopping-centre/west-edmonton-mall (last visited Jul. 1, 2018). Attractions, West Edmonton Mall, Triple Five Group, http://triplefive.com/en/pages/wem/attractions (last visited Jul. 1, 20018). West Edmonton Mall, The Canadian Encyclopedia, https://www.thecanadianencyclopedia.ca/en/article/west-edmonton-mall/ (last visited Jul. 1 2018); Looking for Paintball at West Edmonton Mall?, Edmonton Paintball Center, https://edmontonpaintball.ca/west-edmonton-mall-paintball.php (last visited Jul. 1 2018). West Edmonton Mall, http://www.wem.ca/ (last visited Jul. 1, 2018). West Edmonton Mall Transit Center, City of Edmonton, https://www.edmonton.ca/ets/west-edmonton-mall-transit-centre.aspx (last visited Jul. 1, 2018). Neal Karlen, The Mall That Ate Minnesota, New York Times, Aug. 30, 1992, https://www.nytimes.com/1992/08/30/style/the-mall-that-ate-minnesota.html (last visited Jul. 1, 2018). Carlye Wisel, The Complete Guide to the Mall of America, Racked.com, Dec. 20, 2016, https://www.racked.com/2016/12/20/13848688/mall-of-america-stores. 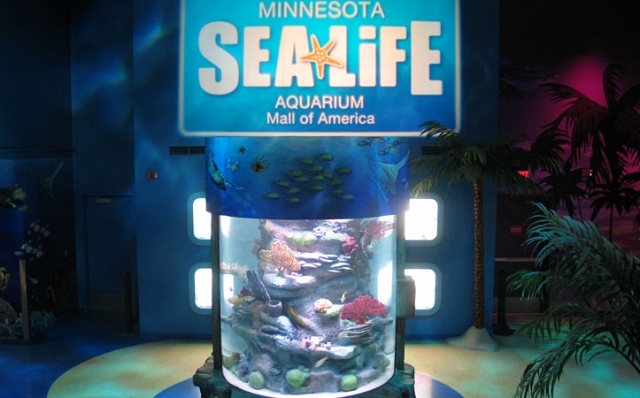 America, https://www.mallofamerica.com/directory (last visited Jul. 1, 2018). Janet Moore, Bids come in too high for Mall of America LRT station overhaul, Star Tribune, Feb. 14, 2018, http://www.startribune.com/bids-come-in-too-high-for-mall-of-america-lrt-station-overhaul/474092693/. 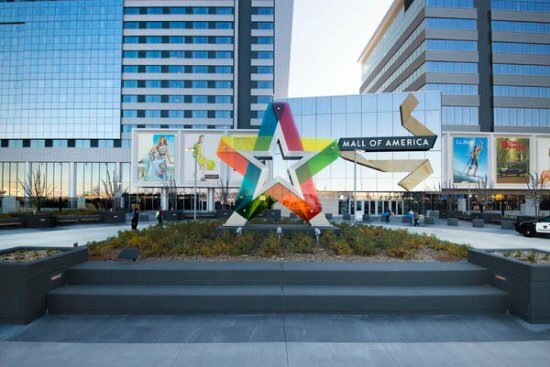 Kristen Leigh Painter, Mall of America unveils another addition with luxury retail, hotel, offices, Star Tribune, Oct. 2, 2015, http://www.startribune.com/mall-of-america-unveils-another-addition-with-luxury-retail-hotel-offices/330283081/. Sagar, Parikh, CFA, American Dream Meadowlands, TWC, Oct. 10, 2017, https://www.tcw.com/en/insights/viewpoints/10-10-17_american_dream_meadowlands (last visited Jul. 1, 2018). Seth Berkman, ‘Dream’ land: A look at the Canadian developers behind the Meadowlands megamall project, Inside-Jersey Magazine, Nov. 17, 2014, https://www.nj.com/inside-jersey/index.ssf/2014/11/dream_land_can. adian_developers_take_on_meadowlands_megamall_project.html. Samantha Henry, Mall of America developer will try to rescue N.J. megamall, MPR News, May 4, 2011, https://www.mprnews.org/story/2011/05/03/american-dream-mall. Ted Sherman, Sports Authority approves expanded American Dream proposal, NJ.com, May 17, 2013, https://www.nj.com/news/index.ssf/2013/05/sports_authority_approved_amer.html#incart_river_default#incart_hbx#incart_best-of. Charles V. Bagli, Giants and Jets Sue to Block Mall in Meadowlands, New York Times, Jun. 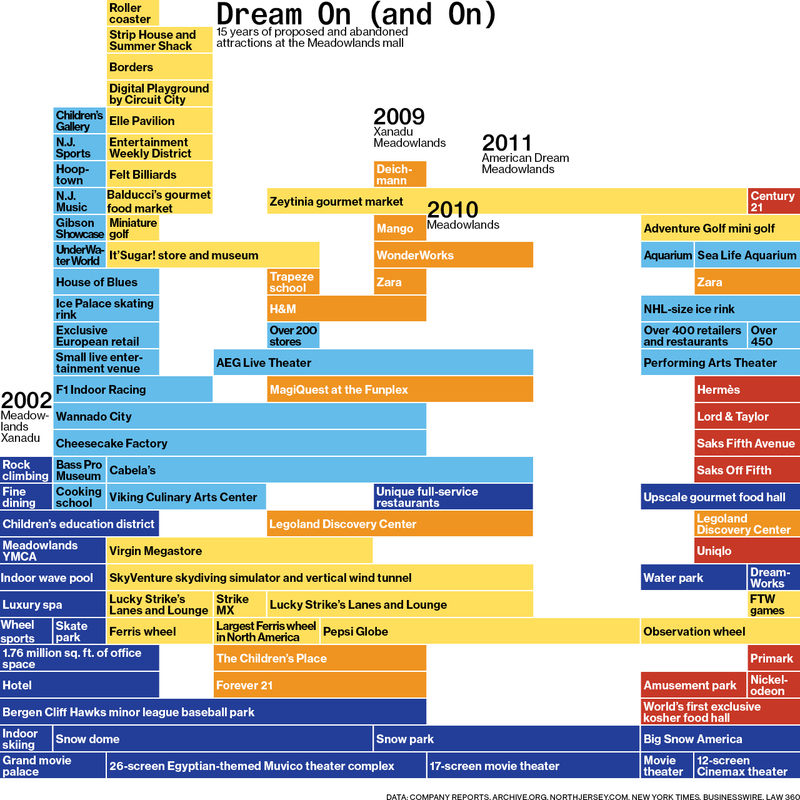 22, 2012, http://www.nytimes.com/2012/06/23/nyregion/giants-and-jets-sue-to-block-huge-mall-in-meadowlands.html (last visited Jul. 1, 2018). New Meadowlands Stadium Company v. Triple Five Group, 2012 WL 3600833 (2012). Erin O’Neill, Big tax break for American Dream project gets green light, NJ.com, Aug. 11, 2015, https://www.nj.com/bergen/index.ssf/2015/08/big_tax_break_for_american_dream_project_gets_green_light.html. John Reitmeyer, New Jersey’s mega-mall is scheduled to open March 2019, why.org, Jul 11, 2017, https://whyy.org/articles/if-mega-malls-are-your-thing-american-dream-is-alive/ (last visited Jul. 1, 2018). Myles Ma, Could Wisconsin Agency solve American Dream Financing delay?, NJ.com, Apr. 28, 2016, http://www.nj.com/bergen/index.ssf/2016/04/could_wisconsin_agency_solve_american_dream_financ.html (last visited Jul. 1, 2018). Parikh, Supra at Note 107. John Brennan, American Dream Meadowlands back to life? Badly needed funding arrives, North Jersey, May 20, 2017, http://www.northjersey.com/story/news/2017/05/20/american-dream-meadowlands-back-life-badly-needed-funding-arrives/334012001/ (last visited Jul. 1, 2018). John Brennan, American Dream Meadowlands finalizes $2.8B in construction financing; work resumes, North Jersey, Jun. 29, 2017, http://www.northjersey.com/story/news/new-jersey/2017/06/29/american-dream-meadowlands-finalizes-its-2-8-b-financing/440364001/ (last visited Jul. 1, 2018). Bloomberg News, Triple Five’s American Dream a winner with bondholders, Finance-Commerce.Com, Jun. 22, 2018, https://finance-commerce.com/2018/06/american-dream-a-winner-with-bondholders/. Parikh, Supra at Note 107; Debbie Patire, American Dream Completes $2.77B Construction Financing, American DreaM Press Release, Jun. 22, 2017, http://www.americandream.com/press/american-dream-financing_6-22-17.pdf (last visited Jul. 1, 2018). Meghan Grant, Can it be true? American Dream says it will open in Spring 2019, North Jersey, May 9, 2018, https://www.northjersey.com/story/news/new-jersey/2018/05/09/american-dream-says-open-spring-2019/577026002/. Linda Moss, American Dream Meadowlands Remains Set for Spring 2019 Debut, CoStar.Com, May 9, 2018, http://product.costar.com/home/news/shared/190836. 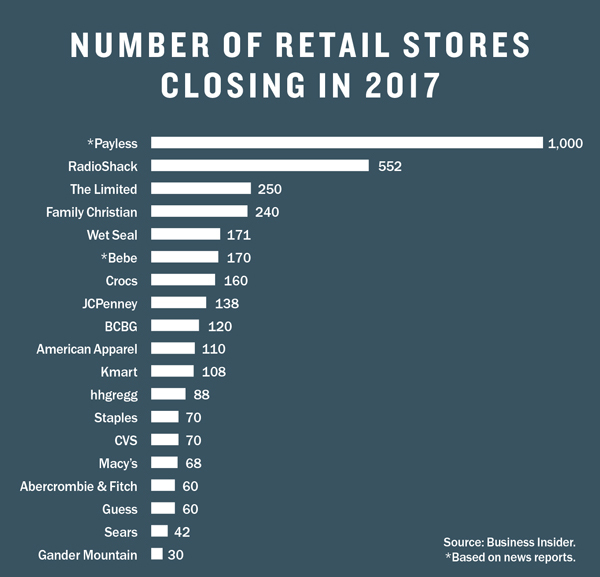 Hayley Peterson, The retail apocalypse has officially descended on America, Business Insider, Mar. 21, 2017, http://www.businessinsider.com/the-retail-apocalypse-has-officially-descended-on-america-2017-3 (last visited Jul. 1, 2018). Josh Sanburn, Why the Death of Malls Is About More Than Shopping, Time, Jul. 20, 2017, http://time.com/4865957/death-and-lif-shopping-mall/. Peterson supra at note 142. Sanburn, supra at note 143. Sarah Mulholland, Landlords Are Practically Giving Malls Away, Bloomberg.com, June 12, 2018, https://www.bloomberg.com/news/articles/2018-06-12/owners-of-fading-malls-on-their-knees-as-buyer-pool-evaporates. Charisse Jones and Nathan Bomey, Sear files for Chapter 11 bankruptcy protection, to close 142 more stores, USA Today, Oct. 15, 2018, https://www.usatoday.com/story/money/2018/10/15/sears-bankruptcy/1595399002/. 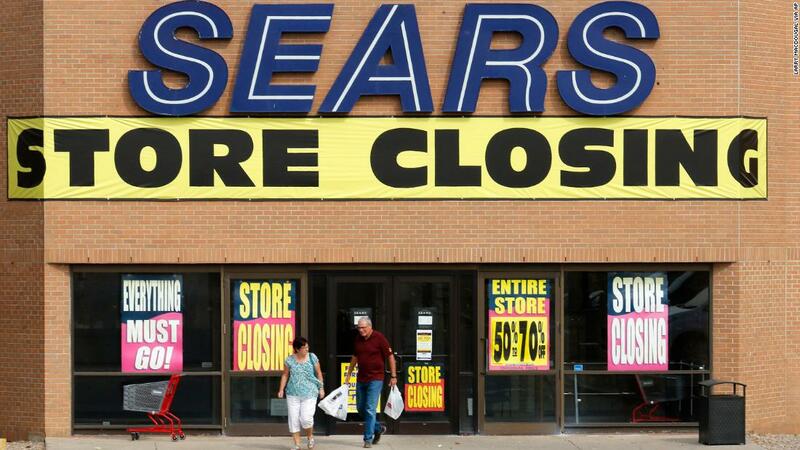 Kate Gibson, Eddie Lambert officially wins auction for what’s left of Sears, CBS News, Jan. 17, 2019, https://www.cbsnews.com/news/sears-bankruptcy-auction-eddie-lampert-officially-wins-auction-for-whats-left-of-sears/. Ahiza Garcia, Payless is closing all its 2,100 US stores, CNN Business, Feb. 18, 2019, https://www.cnn.com/2019/02/15/business/payless-closing-stores-bankrupt/index.html. Chris Isidore, Payless plans to close during its second bankruptcy, costing 16,000 workers their jobs, CNN Business, Feb. 19, 2019, https://www.cnn.com/2019/02/19/business/payless-bankruptcy/index.html. 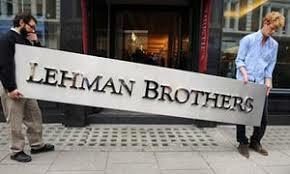 Richard Kestenbaum, Why So Many Stores Are Closing Now, Forbes, Apr. 7, 2017, https://www.bizjournals.com/milwaukee/news/2018/10/30/target-will-close-greenfield-location-in-six-store.html. Mike Richards, What’s up with retail downsizing? TheLens.Com, Jun. 1, 2018, http://thelens.news/2018/06/01/whats-up-with-retail-downsizing/. Kelly Tyko, Are more store closings coming? Firm forecasts “No light at the end of the tunnel,” USA Today, Feb. 14, 2019, https://www.usatoday.com/story/money/2019/02/13/more-store-closures-expected-2019-new-report/2865505002/. Lauren Thomas, Another wave of retail store closures coming. ‘No light at the end of the tunnel,” CNBC.com, Feb. 13, 2019, https://www.cnbc.com/2019/02/13/another-wave-of-retail-store-closures-coming-no-light-at-the-end-of-the-tunnel.html. The Ultimate Family Experience, American Dream, http://www.americandream.com/fun/?open=1 (Last visited Jul. 1, 2018). The Evolution of Shopping & Entertainment, AmericanDream.Com (Last Visited on Aug. 23, 2018). Joan Verdon and Nicholas Katzban, Americna Dream on track to open next spring, developer says, North Jersey Record, Aug. 28, 2018, https://www.northjersey.com/story/money/2018/08/28/american-dream-track-opening-spring-2019-developer-says/1112206002/. Brennan, John, American Dream Meadowlands by the Numbers, NorthJersey.com, Aug. 11, 2015, https://web.archive.org/web/20160207221924/http://blog.northjersey.com/meadowlandsmatters/11948/american-dream-meadowlands-by-the-numbers/. Daniel Hubbard, American Dream Meadowlands Sets Opening Date, Ridgewood, NJ Patch, Aug. 17, 2018, https://patch.com/new-jersey/ridgewood/amp/27702695/american-dream-meadowlands-sets-opening-date. The Ultimate Family Experience supra at note 197. Flori Muresan, The American Dream Meadowlands in NJ is Scheduled for Opening on March 2019, New York Engineers, https://www.ny-engineers.com/blog/american-dream-meadowlands-scheduled-for-march-2019 (last visited Jul. 1, 2018). Richard Perez Pena, Fix Xanadu? The Problem May Be Where to Begin, New York Times, Apr. 1, 2011, https://www.nytimes.com/2011/04/02/nyregion/02xanadu.html. Joshua Burd, Triple Five unveils new video, renderings of American Dream, Real Estate NJ, Dec. 6, 2016, https://re-nj.com/triple-five-unveils-new-video-renderings-of-american-dream-video/ (last visited Jul. 1, 2018). Rick Rommel, As anchors close, Southridge and other malls turn to less retail and more fun, Journal Sentinel, Jan. 27, 2018, https://www.jsonline.com/story/money/business/retail/2018/01/27/mall-anchors-close-southridge-less-retail-more-fun/1063187001/. Douglas Hanks, Nation’s largest mall wins Miami-Dade approval as county backs American Dream Miami, Miami Herald, May 17, 2018, http://www.miamiherald.com/news/local/community/miami-dade/article211306649.html. Dennis Lynch, Who is Triple Five Group? 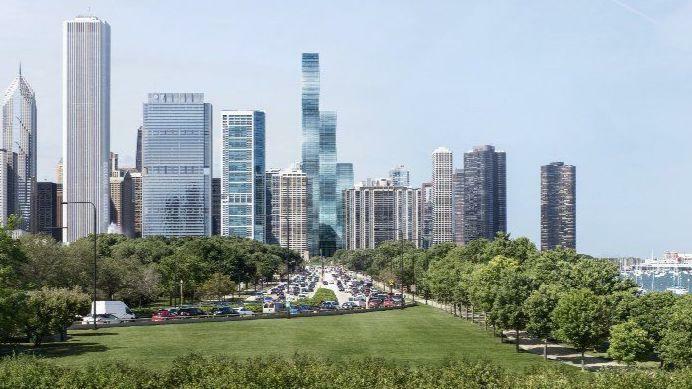 Canadian development giant betting big on Chicago with Vista Tower deal, TheRealDeal.com, Oct. 8, 2018, https://therealdeal.com/chicago/2018/10/08/who-is-triple-five-group-canadian-development-giant-betting-big-on-chicago-with-vista-tower-deal/.